Fall semesters have begun on college campuses around the country. For a handful of students at California State University Fullerton and Virginia Tech, however, this semester will be unlike any other. 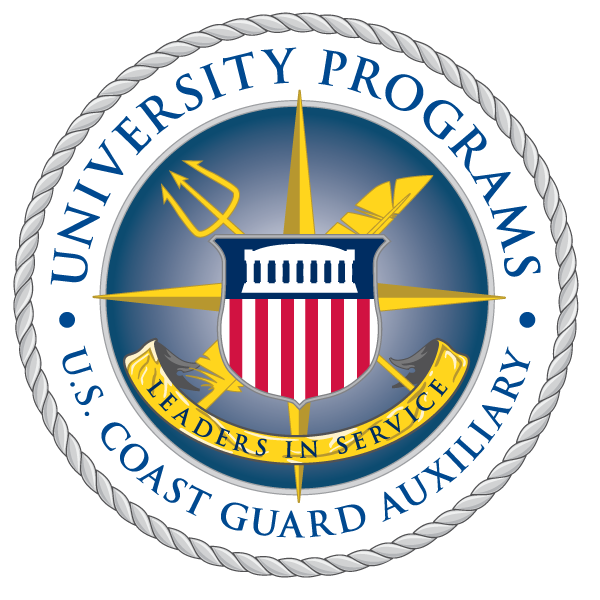 I am very happy to announce the creation this semester of new U.S. Coast Guard Auxiliary detachments at both schools. One is the young program's second campus in Virginia, and the other is our first effort on the west coast. The students, instructors, and staff at these new schools have worked very hard over the last several months to put their programs together. I am hopeful that they will offer the full range of operational, leadership, and professional development to their students as they come fully online and grow in the coming semesters. As the first new detachments to stand up since the original pilot three at Auburn, The Citadel, and William and Mary, these Coast Guard Auxiliarists are true leaders in service, and I thank them for their efforts. With the stand up of these new programs, we have also launched the new "Find a School" page on the national university programs website. I hope that the new schools will have websites online soon, and that high school students interested in service leadership, work on the water, or serving as one of America's Volunteer Guardians or Coast Guardsmen will consider these great colleges when making their future plans. I also ask that alumni of these schools get involved. Whether you are serving on active duty in the Coast Guard, or part time in the Coast Guard Reserve or Coast Guard Auxiliary, these students will benefit from your involvement, from your leadership, from your mentoring, and from your support. If interested in working with us, please be in touch with Carolyn Olsen on the University Programs staff, or directly with the detachment at your alma mater.